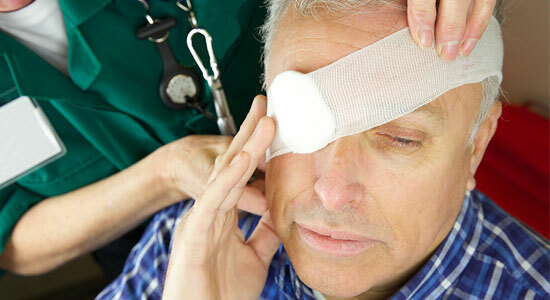 Were Your Eyes Injured in a Car Accident? Our sight is precious. Our eyes let us enjoy hobbies, get work done, and watch our kids play. It's your eyes that let you read these words right now. If you were in a car accident and your eyes suffered any kind of damage, you might be worried about your future. Every accident is different, and there are many ways your eyes may have been injured during the collision – shattered glass, debris from the crash, or even a defective airbag could have caused your pain. Now you need medical care, maybe even surgery. This could be one of the scariest things you've ever had to deal with. However it happened, we understand how frustrating and upsetting your injuries can be. Even small changes to your life caused by losing any use of your eyes are huge. Our experienced attorneys have helped car accident victims like you make it through tough injuries for over 35 years. From the moment you hire our highly rated law firm, we work hard for you. Even if you can't make it to one of our Pennsylvania offices, we'll come to you. We'll do everything in our power to help you get what you need. Trust our law firm to take away your worries, so you can focus on more important things, like getting better and dealing with your injuries. And remember, there’s never a fee unless we get money for you. Get in touch with us to find out if you have a case. Our advice is always free, and there's no obligation to use our services. We'll tell you if we think you have a case, no strings attached. Don't wait – there are time limits to file a claim, so contact us today.